Death Valley Lodging Company is located in the splendor of the high desert in Death Valley National Park just off Highway 190 and 2.5 hours from Las Vegas. Surrounded by majestic mountains with amazing hiking trails, you will experience the peaceful tranquility of wide-open spaces and amazing night skies. 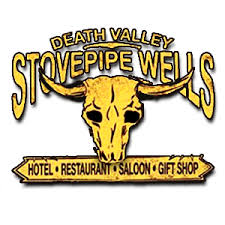 Death Valley Lodging Company is an equal opportunity employer offering competitive pay and benefits along with top-notch training programs and opportunities for advancement. We have open positions in our restaurants, retail gift stores, and lodging and maintenance departments. Visit deathvalleyhotels.com to apply on line. We also offer onsite employee housing and food served in the employee dining room.